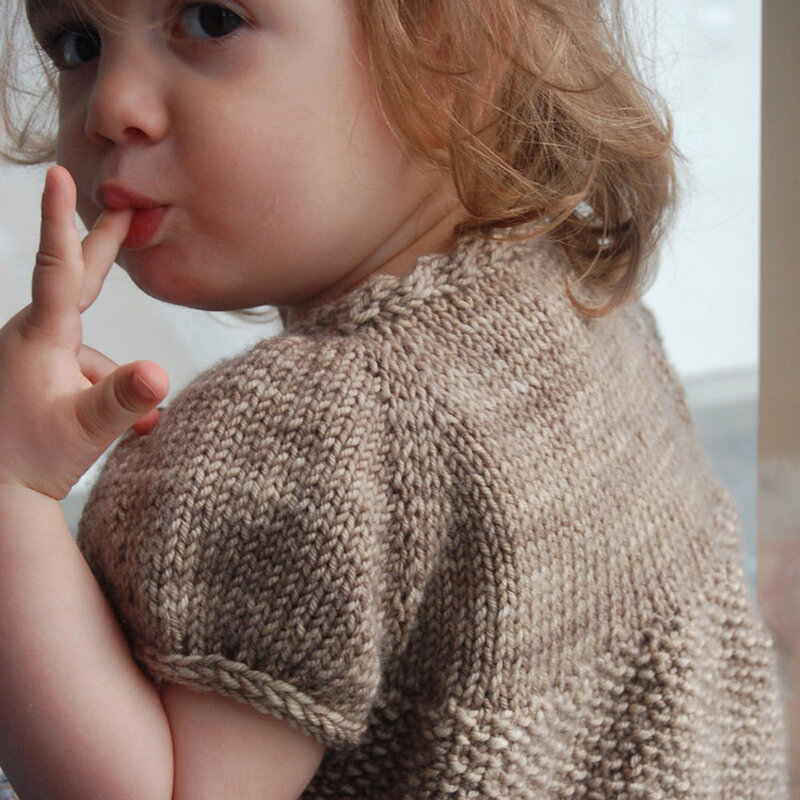 Construction: This garment is knit seamlessly from the top down. The cable neckline is worked first, then stitches are picked up along its edge and the upper back and sleeves are worked together. Once the cross-back width is reached, sleeve stitches are put on hold and stitches are picked up along the front raglans to work the fronts together with the back in one piece until either a shrug length or a cardigan length is achieved. Sleeves are worked in the round. US 8 or 5mm 24-inch or 60cm circular needle (or size needed to match stockinette stitch gauge).